The history of Saint John is deep and often fascinating. I recently listed office space for lease on the top floor of 58 King Street and came to discover that the building is referred to as the Skinner Building. 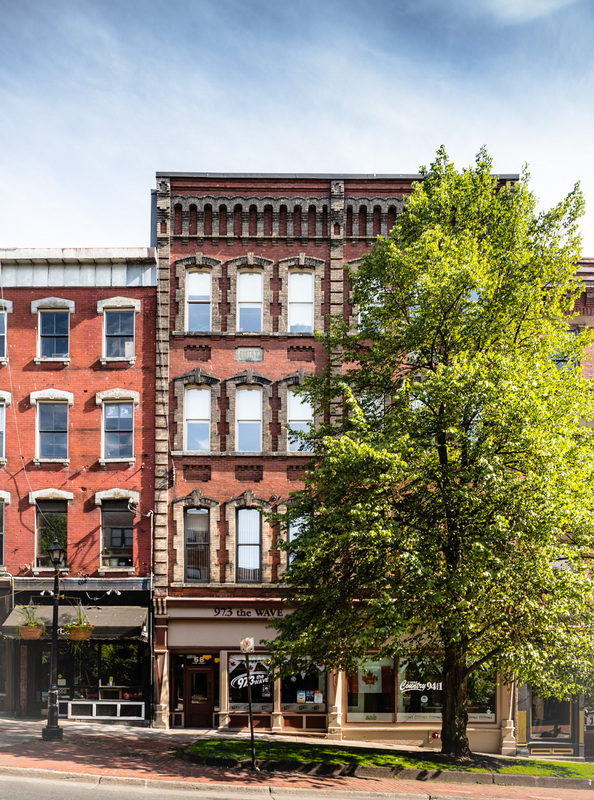 “The Skinner Building was built in 1877 for clothier William Doherty. Alfred Skinner was the proprietor of a carpet wareroom in the building from the early 1880’s until the Great Depression in 1929. After the “great fire”, Skinner started out on his own accord at 68 King Street. His business became too large for the premises so he relocated to this building. It was stated in the 1880’s that in Saint John there was no name more familiar in the households than “Skinner’s warerooms”. Need office space? JUST LISTED: Located on the fourth floor, this 2,932 sf suite features exposed brick walls and modern/industrial vibe. Its layout comprises a reception / waiting area off the elevator, one private office, a spacious glassed-in boardroom, kitchenette and plenty of open space for workstations. Rich with character, this space will not last long – don’t miss out! By Stephanie in For Lease, Heritage, Office Space, Partners Global, Saint John, unique, uptown on February 8, 2019 .